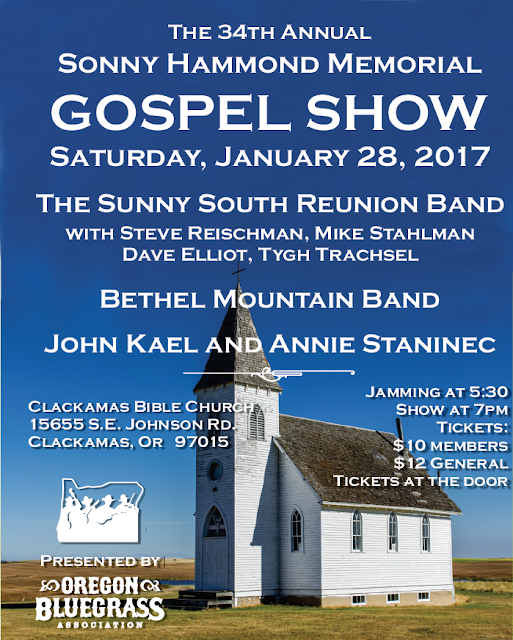 The jamming opportunity at this event will be incredible! We have the entire facility available to us from 5:30 on, and Dan Fish will be helping coordinate the jams. 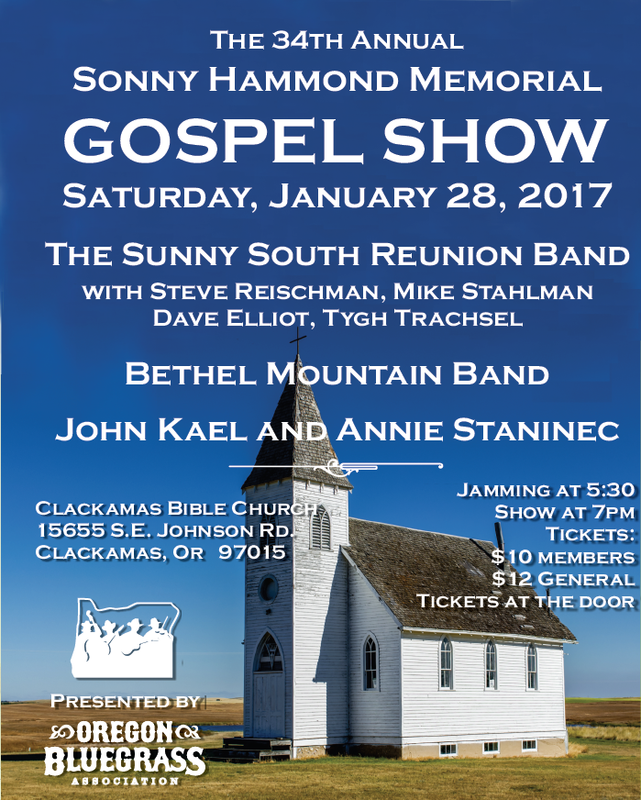 Concert will start at 7:00 pm with three great bands: Bethel Mountain Band (tight male harmony vocals), John Kael and Annie Staninec, and The Sunny South Reunion Band.